Due to potentially icy conditions on the course, Saturday's 5k Bigfoot Race is cancelled. The rest of the festival will go on as scheduled from 10 am to 4 pm in Bond Park. This free event includes live music, vendors, big wheel races, a beer garden, and a chance to meet and learn from some of the country's most celebrated Bigfoot experts. 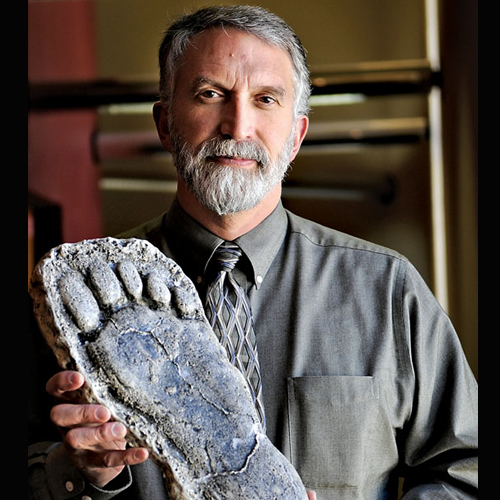 Estes Park Bigfoot Days will feature activities, events, educational opportunities, and entertainment all dedicated to Big Foot lore. There will be a ticketed Bigfoot themed dinner on Friday night, April 12th, which will feature a talk and Q&A from a world famous Bigfoot expert. Saturday, April 13th will feature a Big Foot run and a FREE festival with live bands, entertainment, vendors, food trucks and much more! ​Join us in Bond Park for some BIG fun! Experts on hand will include James "Bobo" Fay, Dr. Jeff Meldrum, and local Bigfoot experts. 10am, 1130, 1pm, 230- Wildside 4x4 tours- Book your 4x4 tour here! his ear to the ground for bigfoot sightings and collecting dozens of reports each year. The parking ramp is approximately a 1/4 mile walk to Bond Park.